Hey, good to hear from you! I was thinking about politics and the epic battle between Kyle and Oddball over Bush-Kerry and got curious. It's great to see the forum with traffic on it. I still fish with Saskcarp occasionally. Hi Adam, im sure i can help. What town are you residing in? If still available, I'll take the Fox Micron M+ Alarms. In-fisherman and Midwest outdoors IIRC. Okay I will do that. I know another guy in upstate New York who is interested too. Indiana has a lot of carp anglers. 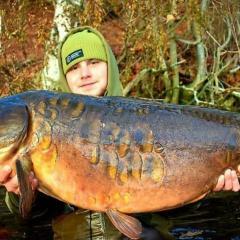 Hopefully, someone will step up to help him get caught in the madness known as carp fishing! What magazines? May be an opportunity to have him write some articles on carp fishing. Thanks for sharing. Just thought, (scary, isn't it? ), check the main CAG page and look up the contact information for the Indiana state chair. I just heard from the coordinator for the parks department. We are clear to fish and there are no activities scheduled that day. A guy I follow on youtube wants to get into carp fishing. He has a good spot on a river in Indiana but doesn't know how to catch them. Any Indiana guys feel like helping him out? I'll post a link to his video the carp are at 6:15. Pair of Two (2) Fox Micron M+ Alarms w/ Hard Covers. Excellent Condition. Lightly used. Both work great. $60 Shipped. PayPal only. That’s exactly how the fish were behaving! Sucking the surface, tail slapping and jumping. I do think a fly rod would have been very effective. I was in south NJ on the Delaware river. We’ve had a really hot spring, the hatch probably happened early. How long does it last? I don’t want them to be distracted by the hatch and avoid my baits! I’m planning on baiting up with maize daily this Thursday through Sunday. Is it possible that a baiting campaign could get them feeding on the bottom again? Sorry to be long winded; I’m planning a long session next week and would love it if I didn’t blank! I went out fishing today for the first time this year. I had prebaited yesterday and showed up at the same time again today. Heavy storms were rolling in and the air pressure was extremely low, 29.3! I was very confident in catching fish: Overcast skies, light rain on a quiet shallow bay isolated from the main river current... sounds perfect, right? Not only did I end in a blank, but the most confusing part was that the carp were showing all over my swim near the surface. They weren’t spawning, as water temps are only 55F, but they were jumping often and their tails were sticking out of the water that was deep enough for them to avoid it. They seemed active but were not feeding (at least, not on my rigs ) . Any ideas as to why they may have behaved like this? I normally observe this sort of thing on a high pressure front, on a cloudless and hot sunny day. Maybe a zig would have worked? Open to all. 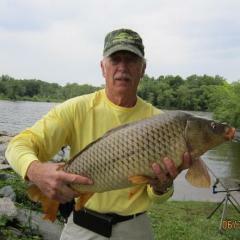 Fish in at 256 norrie point way staatsburg ny. Starting at 8am till 12noon or sunset when the park closes. For more information you leave messages here or events in CAG Facebook. Saturday April 27th. Nice fish & in looks to be great shape too! Bringing this up to the top. Barry Shildneck remarked yesterday that it is three weeks until the fish-in at Fort Loudon Lake outside of Lenoir City, TN. The fish-in is at Lenoir City Park off US 321 east of town and US Hwy 411. Just before you cross the new bridge, the park sign is on the right. Turn left and go around the marina and the dry storage building. Go to the end of the street. Turn left and you will see the playground and pavilion. We will be fishing the open area there around the flagpole. Had a good turnout last year but I was reminded not to have a fish-in during the middle of summer. Some of us will be fishing Friday. One indicate he would be fishing Thursday also. Yarberry Campground is across the lake and has lakefront sites. We will start at 8 AM and fish until about 5-6 PM. Later if the fishing is good. I will host a cold cut sandwich lunch so I need to get a count of those attending. as of today, I have compiled a list of eleven- Dustin, Barry, Tony, Charlie, Jennifer and Brian, Brad, John and Cheyenne, Kelley A., Buddy. Let me know if you plan on attending and if you will be staying for lunch. Invite any newbies as we will have plenty of tackle we can share. Nothing like a person landing a nice carp for the first time. Tight lines, screaming alarms and zinging drags!